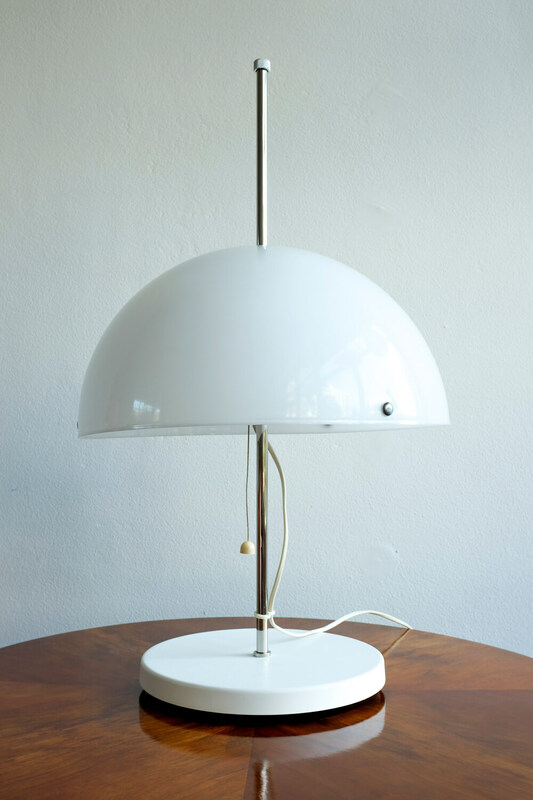 Great example of the Space Age style. 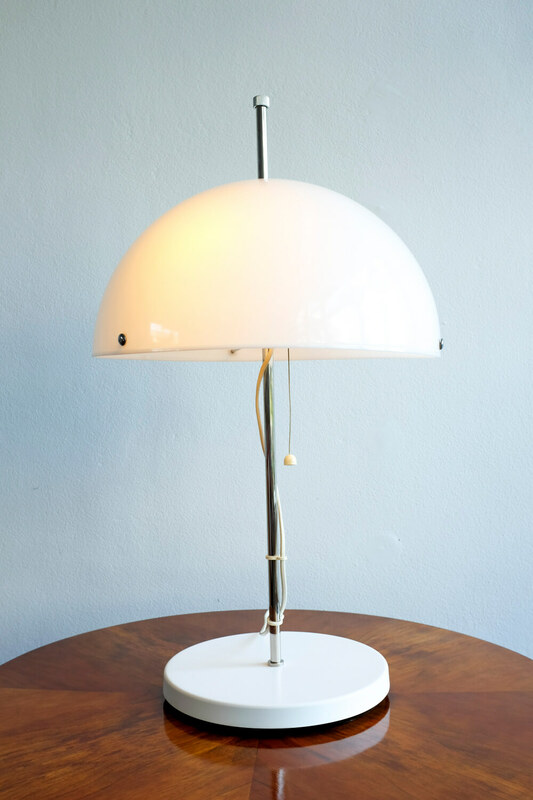 This vintage mushroom lamp was made in Swedish Fagerhults in the 70s. 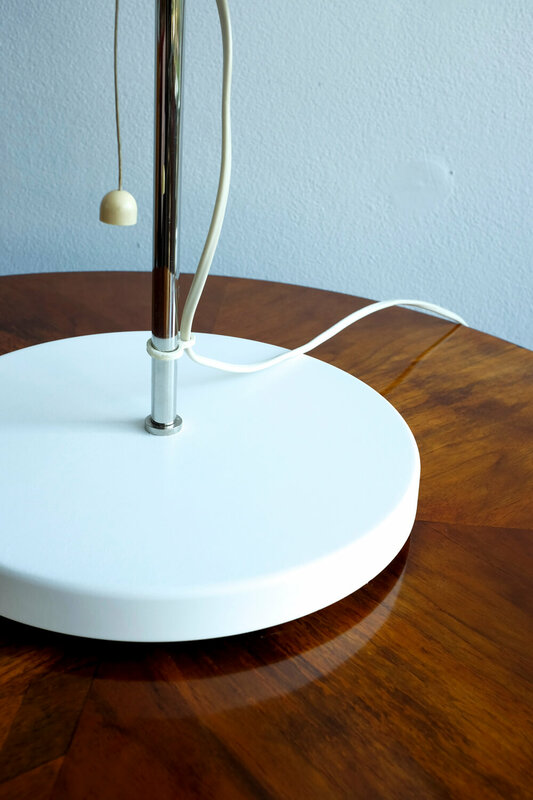 The shade is made of white acrylic and the stand is made of chrome and plastic. 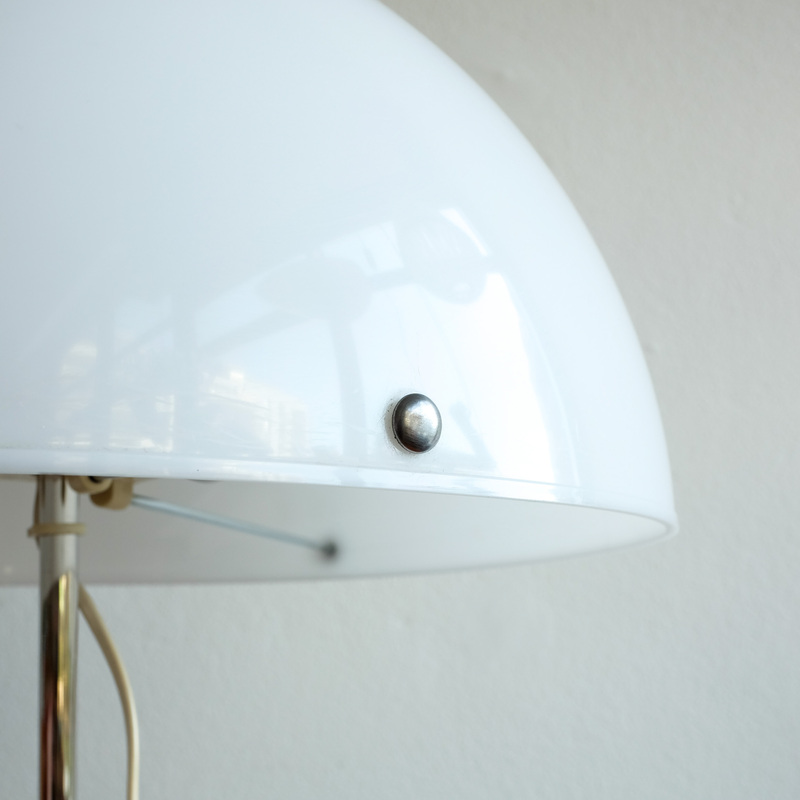 It's in very good original conditon, only a small crack on the top of the lampshade. 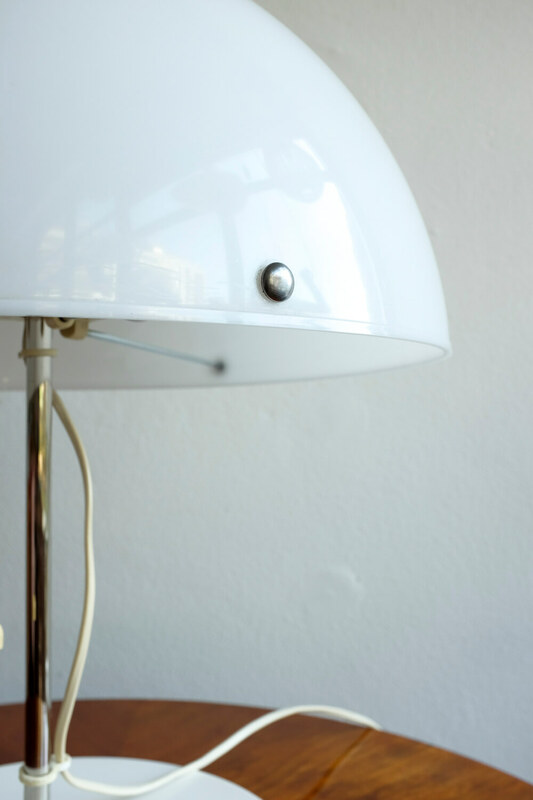 The lamp is equipped with two light points and a pull switch. 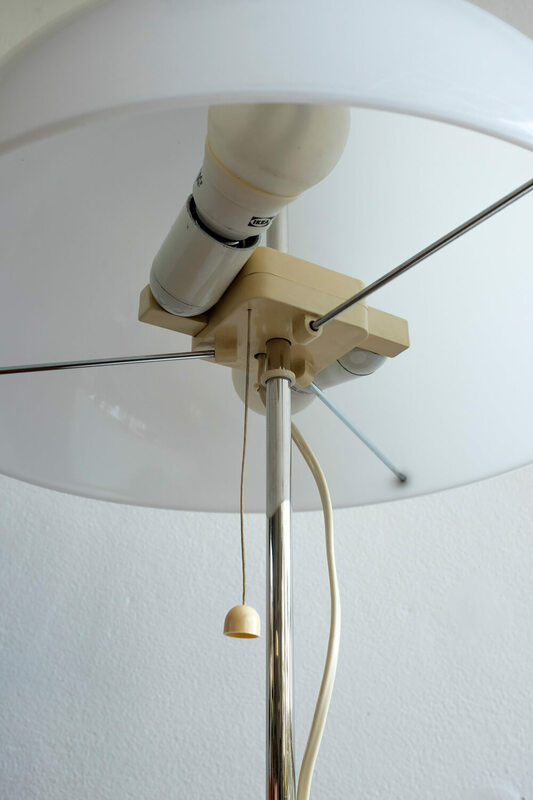 The height of the shade is adjustable. 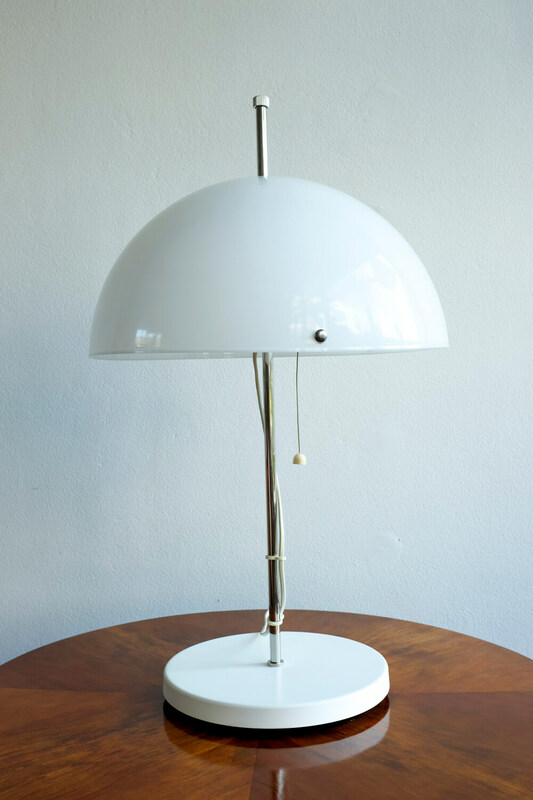 This stunning lamp was designed and produced by AB Fagerhult Sweden. 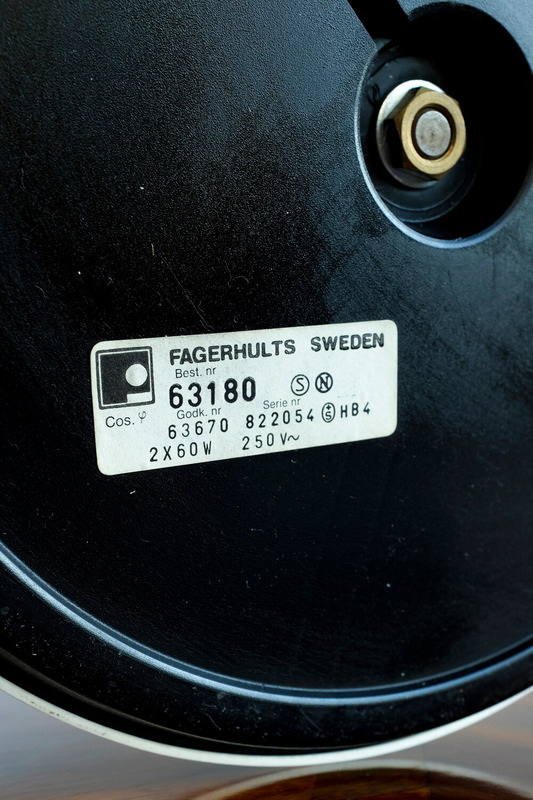 This famous lamp manufacturer was established in 1945 by Bertil Svensson under the name of Fagerhults Elektriska. In 1974 the name changed to the current name.